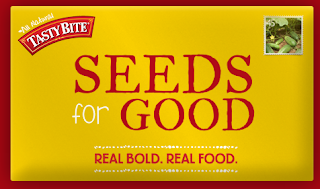 You can get a free packet of Zucchini seeds when you pledge to share some of your harvest with a local food pantry! Click on the picture below and scroll down to the bottom. Enter your zip code and select a food pantry in your area. Then enter in your information and your seeds should arrive in about 2 weeks! It's good for the first 10,000 people and there are about 5,000 left right now!